The Italian style cooking cheese is a great alternative to dairy. 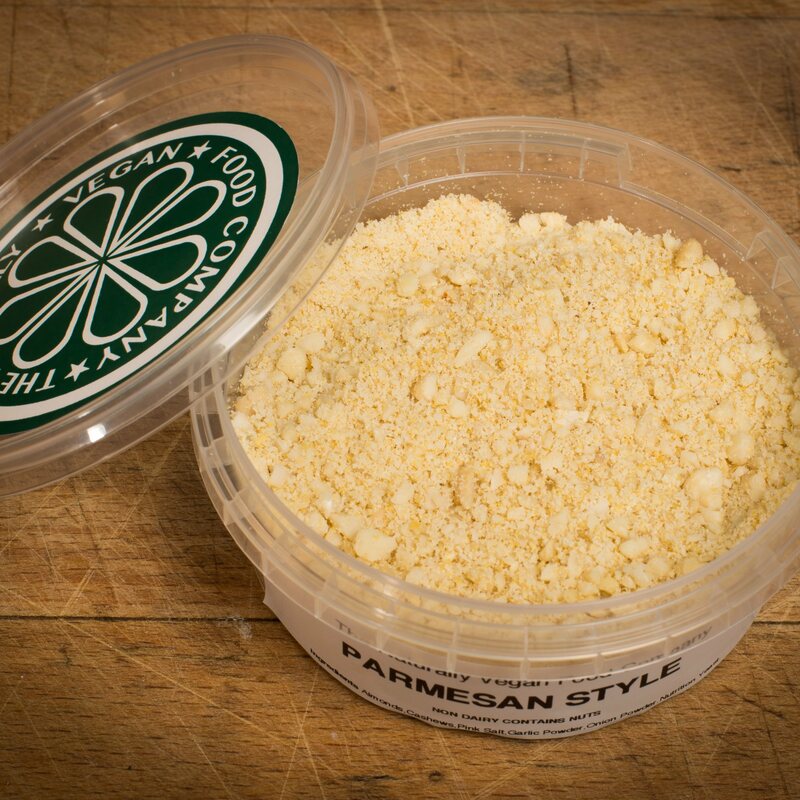 This handmade cheese is made from the finest organic cashew nuts which are ethically sourced. As the ingredients are totally plant based, it is suitable for vegans, vegetarians, and those who are lactose intolerant. 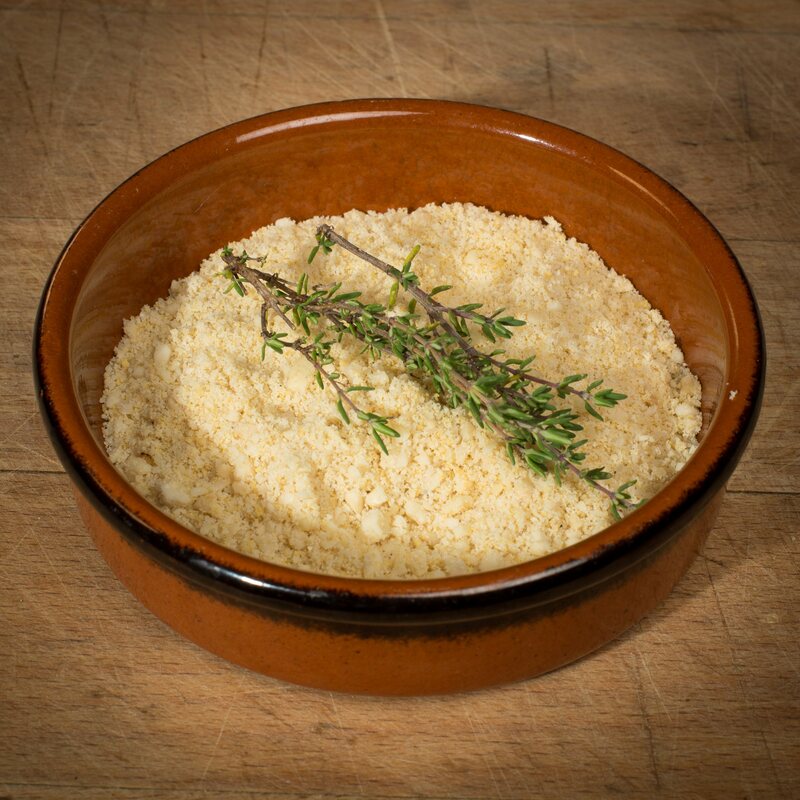 A versatile product, it can be sprinkled on a variety of dishes, adding a great cheesy flavour. Available to buy as 3 packs of 180ml or 3 packs of 300ml. This product has a shelf life of three weeks if refrigerated(unless otherwise specified). Organic Blanched slivered almonds, Organic Cashews, Nutritional yeast, Salt, Garlic powder, Onion powder. This is my favourite vegan cheese! I love the taste, it is addictive and the texture is spot on. Definitely recommend it, so much nicer than the over processed vegan cheese in supermarkets. Tasteless, textureless and arrived damp. Outer plastic packaging did not warn of an ice-pack inside. By the time I opened it, the melt water had made the entire inner box sodden and each individual cheese box very damp. "Cheeses" themselves had neither pleasant flavour nor texture - recipient didn't want to finish any of them. 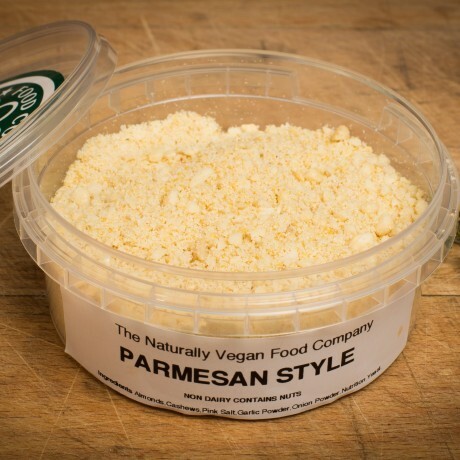 Best vegan cheese ever, ordered quite a few items from this company and they are always a pleasure to deal with. Totally addicted to the smoked cheese. The smoked cheese balls are truly amazing. The smoked cheese balls are truly amazing. As are the original ones too. I've only been a Vegan for 4-5 months but this ticks all the boxes in the vegan cheese category. This vegan cheese is amazing. This vegan cheese is amazing. The Italian cheese is perfect for pasta dishes and the cashew spread is delicious. So glad I found this cheese company at Sutton Coldfield vegan festival. Many thanks. I enjoyed each of the vegan cheeses. I enjoyed each of the vegan cheeses. I will be buying them again but only for special occasions as they are quite expensive. Fabulous and delishes cheese, the best vegan cheeses you can find. Definitely will get more. This 'cheeze' is delicious and no animal was killed or abused to produce such a yummy product. I highly recommend it but 'beware' your waistline might suffer once you find out how delightful it is in sandwiches, with salad or on a jacket potatoe. Organic, hand-made, artisan, vegan cheese and cheese balls.